Standard 7 pupils at Lyamungo Sinde Primary School (pictured) and at Mwowe Primary School in the village have now met with their new volunteer English teacher, Martha Austin. 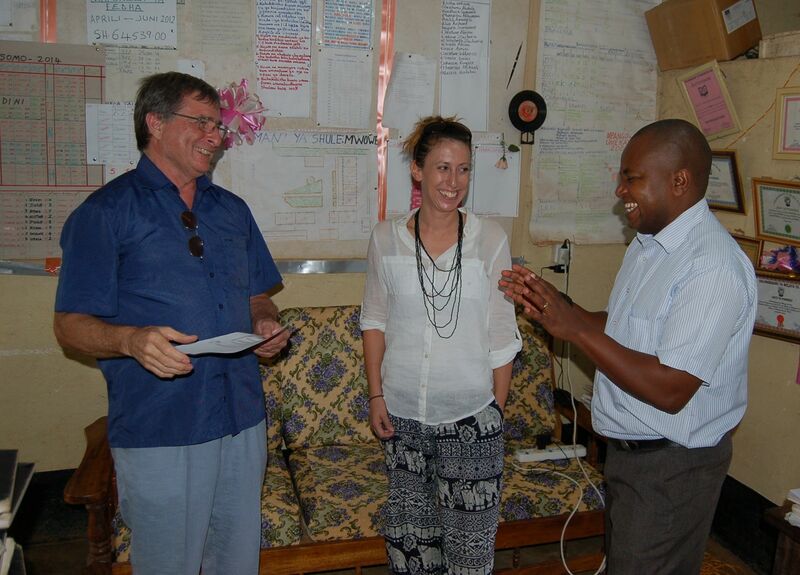 Martha has come to us from Australia and has been with us here in Tanzania since January 31st. She will concentrate her efforts at L.S. Primary but will also teach part-time at Mwowe – and possibly also at ARI, although this has yet to be confirmed. Both L.S. and Mwowe Primary Schools are nearly the equivalent in size at just over 200 pupils while ARI school only has 100 pupils. We met with the headteachers of both L.S. 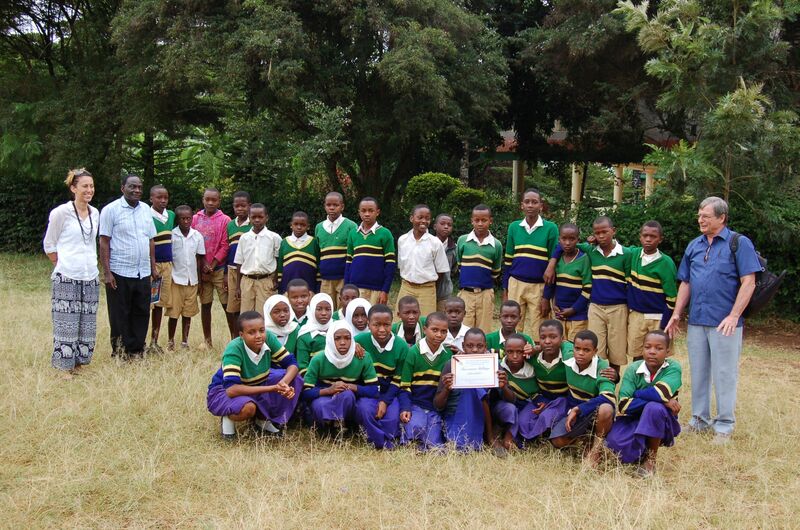 Primary and Mwowe Primary (pictured). I started the project thinking that I would support the children of the whole village and of course, that includes children attending all of the schools in the village, not just those from Lyamungo Sinde Primary. At the start of this year I first met with Pastor Nickson, the village pastor at the Lutheran Church to discuss the children we should support. He is familiar with all the children and has been very helpful to ABCDreams (UK). We then arranged a meeting with village officials and the three head teachers to agree the lists of children in need in their respective schools. The results of these consultations have meant that we now support 65 children and their families with payment of the majority of school fees for the children. Last week I met with all 3 head teachers to facilitate payments. This week I will visit the third school – ARI. These are very exiting times for the village! During a recent visit to the UK we exchanged calendars and paintings with Roxwell Primary School in Essex with whom we hope to establish a communication link between the children. One calendar was developed by the Roxwell children showing monthly events at their school. This was given to Class 5 at L.S. Primary. The other consisted of the paintings done by standard 7 pupils at L.S. Primary – a copy of which was given to the Std 7 class. It is my hope that we might be able to arrange a fund-raising event this year at Roxwell where we can exchange art works by both schools – this in an effort to raise funds for L.S. Primary at the same time. Till next time…..